Choosing a gym can be a really difficult decision. I know by my house there are at least 3 of the major gym chains. When you start including gyms near your office, the choices get even broader! If you live in the United States, chances are pretty good that you have nearby access to both Gold’s Gym and Planet Fitness… both awesome choices. But how do you know which one is a better fit for you? This is the exact reason I launched my Gym Comparison series! 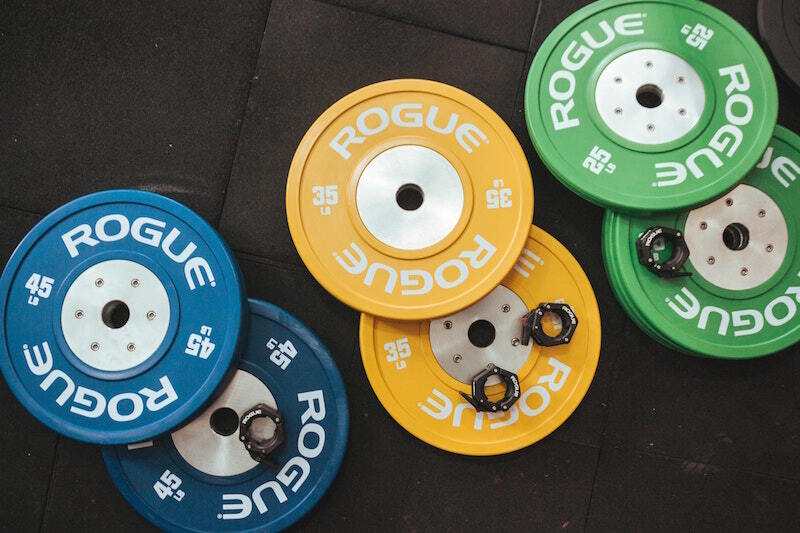 In these articles, I pit two major fitness chains against one another and compare them on price, equipment, classes, childcare, vibe, and more. All so you can make a more informed decision. In this piece, we’ll take a look at Gold’s Gym vs Planet Fitness. Planet Fitness is one of the most ubiquitous fitness chains in the country; maybe even the world. These gyms are quite literally everywhere, with over 1,000 bright purple and yellow locations nationwide. Here’s the basic deal with Planet Fitness: Here, you’ll get really inexpensive gym access, lots of cardio equipment, 24-hour access, and very few amenities to go with it. They keep the experience super stripped down to keep prices low. For that reason, PF is meant for a very specific kind of person. If you’re looking for a health club vibe or somewhere that you could spend hours at a time, PF won’t be a fit. But for busy people on a budget who just want a nice place to get in a quick workout, Planet Fitness is one of the best around. Gold’s Gym is one of the original names in commercial fitness. Joe Gold opened the first studio way back in 1965, and now the chain has over 700 locations across the United States and beyond. Known primarily as a weightlifter’s and bodybuilder’s gym, Gold’s isn’t just for meatheads. Most locations will also have tons of cardio equipment, group fitness classes, functional training, childcare, tanning, massage, pools, and more. Gold’s Gym is a favorite of celebrities like The Rock, Keanu Reeves, Riger Woods, Hilary Swank, and Jessica Alba. Planet Fitness Cost: You know what I like about Planet Fitness? Simple pricing! You know basically what you’re going to get at almost any PF, though costs may vary a bit from location to location. On top of that, in terms of pure price, you’re going to be hardpressed to find a better deal anywhere. To become a member at Planet Fitness, you should pay around $10 per month, plus startup fees which vary from location to location. To go no contract (and cancel whenever you want), it’ll cost $15 per month. For access to any PF location in the country, you’ll pay around $20 per month. Gold’s Gym Cost: I’ve honestly never seen such complicated and inconsistent pricing at a gym chain. My best advice for you here is to find your local Gold’s Gym and browse their pricing options to find out for yourself. Franchise owners at GG must have quite a bit of freedom and leeway with how they do their pricing. In general, you should expect to pay between $20-30 per month at Gold’s Gym, plus startup and annual fees. It’ll all depend on location and what kinds of amenities each location has. Clearly, Planet Fitness is cheaper and has way more transparent pricing. But which gym offers the better value? Planet Fitness hours: I mentioned that Planet Fitness was convenient, right? The chain boasts 24 hour access to (most of) its gyms, which is huge for you early morning commuters and night owls. I would double check your local branch, though, to be sure. There are a few Planet Fitness spots that aren’t open 24/7, though they usually still offer late hours. And you should also take a look at holiday hours and closures before you commit. Gold’s Gym hours: Hours at GG also vary greatly by location. Many Gold’s Gym studios are open 24 hours. Sometimes, they’re open midnight to midnight during the week and have abbreviated hours on the weekend. Other locations open early in the morning and close around 10pm. You’ll have to check your local spot to be sure. Planet Fitness: Cardioheads, rejoice! PF was made for you. When you walk into Planet Fitness, you step into a sea of treadmills, stairmasters, ellipticals, bikes, and more. There should be plenty to keep you busy, even during peak hours. What you won’t find much of at PF, though, is weightlifting equipment. There are some light dumbbells and sometimes a Smith machine (and often, there’s a strength training circuit with machines), but you’ll never find barbells, free weights, or power racks here. Gold’s Gym: Gold’s has pretty much everything. In most cases, you’ll find more than enough cardio equipment to keep you happy and challenged during every session. What you’ll find here, however, is a much more robust weight lifting area. Gold’s is a notorious bodybuilding and powerlifting favorite, so they’ll usually have plenty of free weights, power racks, barbells, and more. I’d make sure you tour your local spot, either Gold’s or Planet Fitness, to make sure they have what you need before you sign up. Planet Fitness: For new members, PF offers a basic introductory course to get you started in the gym, learn the ropes, and get on a workout plan. But outside of that, there are no group fitness classes at Planet Fitness, paid or otherwise. Gold’s Gym: Most GG locations have plenty of group fitness classes — a dozen per day or more. With your membership you should get access to stuff like Zumba, BODYFLOW, BODYCOMBAT, Silver Circuit, and various other cardio, strength, and bootcamp style group workouts. Planet Fitness: Nothing to speak of, here. Planet Fitness keeps costs down by eliminating extra amenities like this. Gold’s Gym: Some locations have pools, saunas, and whirlpools, while others don’t. Again, check with your local franchise branch to see what they have to offer. Working out before your commute? Grabbing a quick sweat during your lunch break? Both Planet Fitness and Gold’s Gym have full showers in their locker rooms. So no need to worry! Planet Fitness: No childcare at Planet Fitness. Some people actually prefer this child-free atmosphere, but if you’re looking for a helping hand while you grab a workout, no PF locations (as far as I know) offer any assistance. Gold’s Gym: Has something called the Kids Club where you can drop off the little ones while you workout. It should be included with your membership, but this may vary depending on the membership levels at your local gym. Planet Fitness and Gold’s Gym are pretty different. One caters to busy cardio lovers on a budget. The other has a bodybuilding vibe and offers a much wider range of amenities, depending on location.